Here's a new slots online game form Yggdrasil Gaming. Immerse yourself into a winter Asian wonderland in our epic new online slots game “Ho Ho Tower”, developed by ‘Elk Studios’ .The game’s theme portrays a breath taking Asian sky-line and offers towering bonus and high rewards. Expect to see traditional Asian winter household items such as striped hard boiled candies and candy sticks in awesome HD graphics and even a ‘lucky number seven’ or two. Number seven is considered to be lucky in Asia, as there are seven days in the week, colours in the rainbow, the number of continents, seas and wonders. We hope it can prove to be an important number for you too. Play EasySlots now and you’ll start smiling too! This is one of many online slot games uk we have by Yggdrasil gaming on Easy. · A jackpot is available in this game; this is a large prize normally consisting of coins. · Each bet will cost 100 coins, this is your stake. 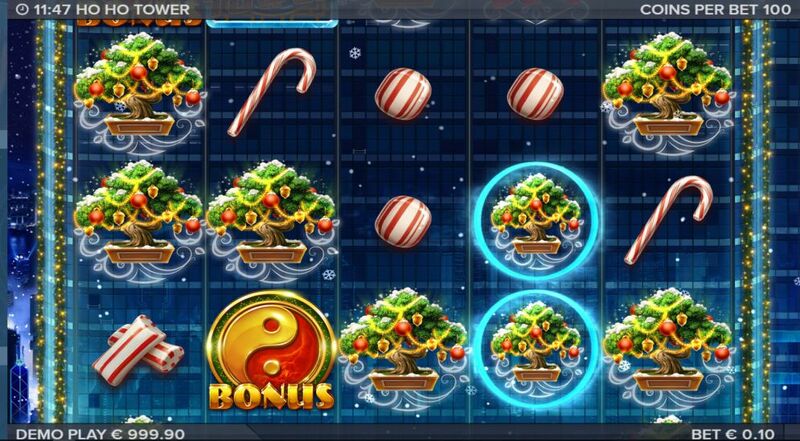 “Ho Ho Tower” is one of the most iconic online slots game currently developed. It encapsulates Asian heritage into a fast flowing five row slots game. The game is perfect for casino slot fans or simply anyone looking for fun. If you liked Ho Ho Tower you might also like to visit Easyslots for more popular slot games.